As part of the IPF’s celebrations to mark our 10th anniversary this year, we held a press briefing to present our annual report and work over the past 10 years. Two of our cofounders, Serena Cook and William Aitken, attended, together with Sandra Benbeniste, the director, and Frances Llopis, an IPF council member. As well as reflecting on our past achievements, we also be presenting our four key projects: posidonia protection, championing Ibiza produce, a sustainability study, and leading a movement to make Ibiza and Formentera free of single-use plastics. 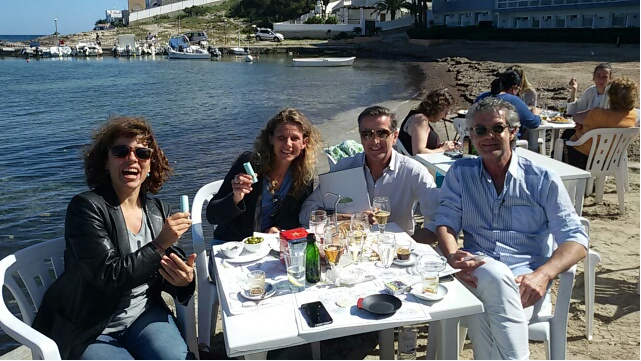 Thank you to all the media who joined us, and Marc Rahola, CEO and Founder of OD Group and Anna Bigas, also from OD Group, for hosting the event at OD Hotel Talamanca, which was complemented by stunning views over Ibiza.